In general, we do not bake any items that are not already on our current menus. For example, we do not make tiered wedding cakes or red velvet cupcakes. Prior commitments may not allow us to accept special orders at certain times. The more notice you can provide, the more ability we have to help you. 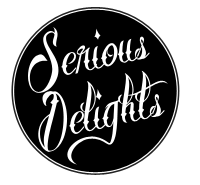 All products at Serious Delights are hand-crafted… so there are no “volume discounts”. We aren’t pulling this stuff out of a box!